At the beginning of April, Raven shuffled its navigation to make way for some new features. During that process, we also streamlined our keyword ranking tools, removing the dedicated Google Webmaster Tools tool and transforming Rankings into your source for Bing Webmaster Tools data. Why did you remove the GWT/Rankings tools? In total, there were five different places where you could find Google Search Console data—not counting Dashboards and Reports. That means we had five different tools to maintain, which provided a tremendously confusing experience for our customers. There's no need for that redundancy. Google Webmaster Tools was created in a time where Google didn't officially provide access to search queries. Over time, that tool has struggled under the weight of increased database sizes, more search queries, and other limiting factors. Since we launched this tool, Google has greatly improved access to their Search Console data, which led to us building the newer Search Analytics tool. We announced our intention to remove GWT/Rankings (in favor of Search Analytics) last year, but delayed those plans until recently. Search Console recently increased its query history from 90 days to 16 months. 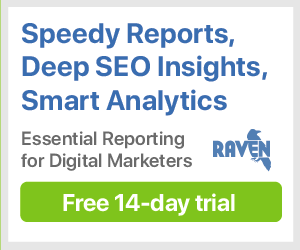 The method we were using to obtain data for GWT and Rankings wouldn't support this increase in data once it's made available to third-parties like Raven. Although we've removed the GWT and Rankings tools, your existing report data will continue to be available in your published and scheduled reports. Though you can't add new GWT widgets and existing widgets have a disclaimer on them, the published versions of these widgets still show data. We want to give our customers a chance to swap these widgets with their Search Analytics counterparts before fully removing the tool. We haven't set an exact sunset date for when these will be full removed, but we expect that will come towards the end of this year. How do I report on Google Rankings now? The good news is that the Google data that was previously available in GWT can be found in the Google Search Analytics tool, also found under the Rank Tracking menu. This data comes straight from Google Search Console and, unlike GWT, provides accurate information about overall clicks, impressions, and queries. Search Analytics is currently limited to reporting data from a 90-day window. Google recently expanded this window in Google Search Console itself to 16 months and is expected to enhance their API with this change as well.